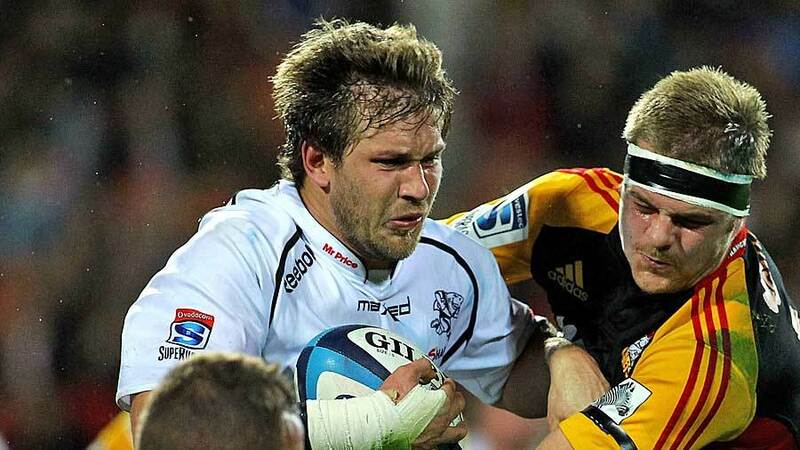 Jake White has backed Patrick Lambie and Francois Steyn to become the best 10-12 combination in Super Rugby this season. "Pat Lambie will play at fly-half for 80 minutes of every game," White told SA Rugby about a player whom Springboks coach Heyneke Meyer uses at fullback more often than not. "Frans Steyn will play 12 for me. It gives Lambie a massive amount of confidence having Frans play beside him. "We have a philosophy about how we want to play, and if it means those two play next to each other for the whole season then we will make them the best 10-12 combination in Super Rugby." Steyn suffered a disappointing season in 2013, producing inconsistent form as he sustained injuries, but White told SA Rugby: "I've known what makes Frans tick since he was a schoolboy at Grey College. I know how he thinks. "His whole life has changed, he has a child now, his value system has changed, and I'm sure that will have an impact on the way he plays and prepares. Last year, he went through three coaches before the year ended. He likes stability, he likes to be guided without force. He is a prodigy, a sensational player, a freak. He was spoken about as the guy who could change rugby. That's what's so exciting. "I sat him down and told him I really need him to show everyone what I think he can do. That's important, because when he's next to Pat, you will see a much better Pat Lambie. He's still a work in progress. He came back here and had a knee op, so he's not 100% yet, but everyone knows what his 80% is and that's better than most people when they're 100%." White had previously anointed Lambie as fly-half, saying in November that the playmaker was going to play No.10 "and nowhere else" for the Sharks. "To be fair to him, because he's so talented, he can actually be messed around," White said in November. "It reminds me a bit of when [former Springboks utility] Brent Russell was here - he could play in so many positions. He was always on your bench because he's good enough, but then he tends to never find a position he can settle in."